Just like every year, we truly hope you had a great year and that every year life only gets better! Whether it was a great year or one worth forgetting, we can always cap off the year in a positive manner! But you may feel like things just won’t change if you are having trouble gift shopping. Well, if you are shopping for a fellow car enthusiast with not a lot of money to spend, we may be able to help! We have come up with this gift guide to help you and everyone else select from a wide range of products with a large range in price as well. We want this gift guide to apply to any and all automotive gift givers! Our shift knobs are manufactured by ISC Suspension and are made with quality in mind! We offer 3 different types: sport, race, and comfort. The Sport series ISC knob is a hybrid between the design of the comfort and the Race series. It is still easy on the hand but has a bit of a flat top for quick precise shifts. Our race series knob has a massive lateral surface area which allows for fast, more precise, and accurate shifting. The comfort series is the perfect round shape which is ideal for the natural contour of your hand. Each knob is made of anodized aluminum. Each knob gives a better shift feel and compliments any interior theme your vehicle that you may have. Represent your favorite coilover inside your car with the ISC knob! Represent the ISC brand (we hope) you have come to love! We offer apparel, banners, and accessories. Our apparel consists of tee shirts and hats mainly. There are a variety of shirt styles and sizes to pick from! You can purchase our banners in 5×2 feet dimensions with an option of black, white, or gray color. Lastly, our accessories consist of koozies and air fresheners in a variety of colors and styles. If you are in the middle tier of our pricing guide you will be happy to know that our Wheel Spacers and Wheel Adapters fit your budget! Our wheel spacers are offered in 5×100 25mm, 5×114.3 15mm, 5×100 15mm, and 5×114.3 25mm. Spacers and lug nuts are included in each order. 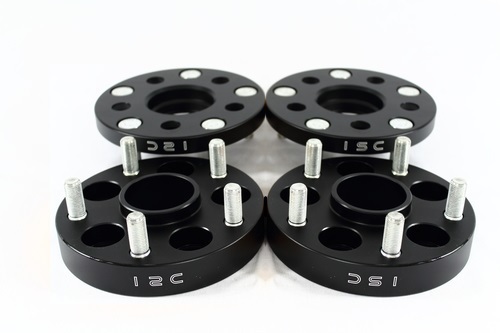 Each wheel adapters are offered in 5×100 to 5×114 25mm and 5×100 to 5×114.3 15mm. 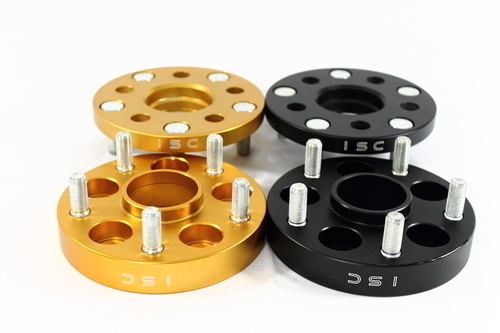 You can also pick between black or gold colors for both spacers and adapters. 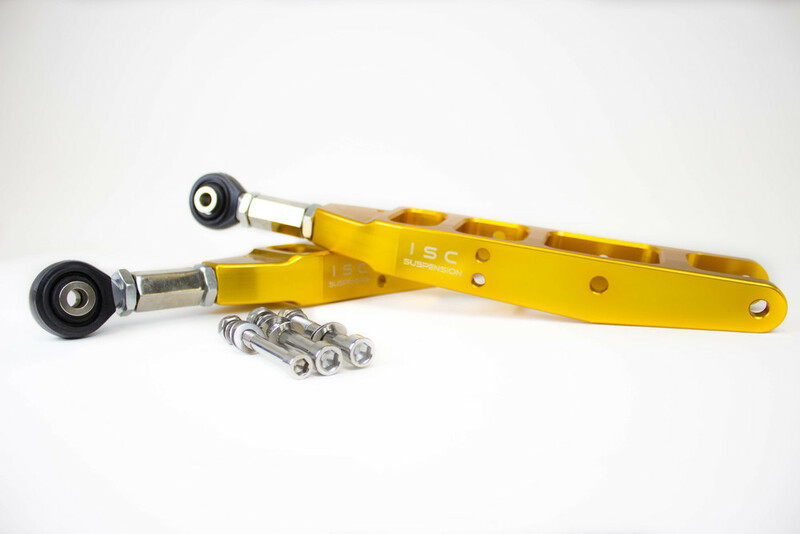 If you are looking for something in the 5-600 range, your best bet would be to checkout our control arms. They are currently available for the 0-14 WRX/STI, 09-10 Forester, 13+ FRS/BRZ/GT 86, 2015+ WRX/STi, and 2010-2013 Legacy. 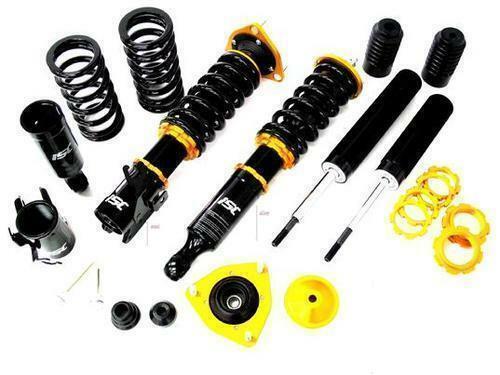 If you are looking to go big, our ISC N1 coilovers are your best bet! Our ISC coilovers are not only offered for Subaru but 17 other manufacturers as well! For the sake of this article our Subaru Coilovers are offered in the WRX, STI, GC8, Legacy GT, BRZ, and Forester.